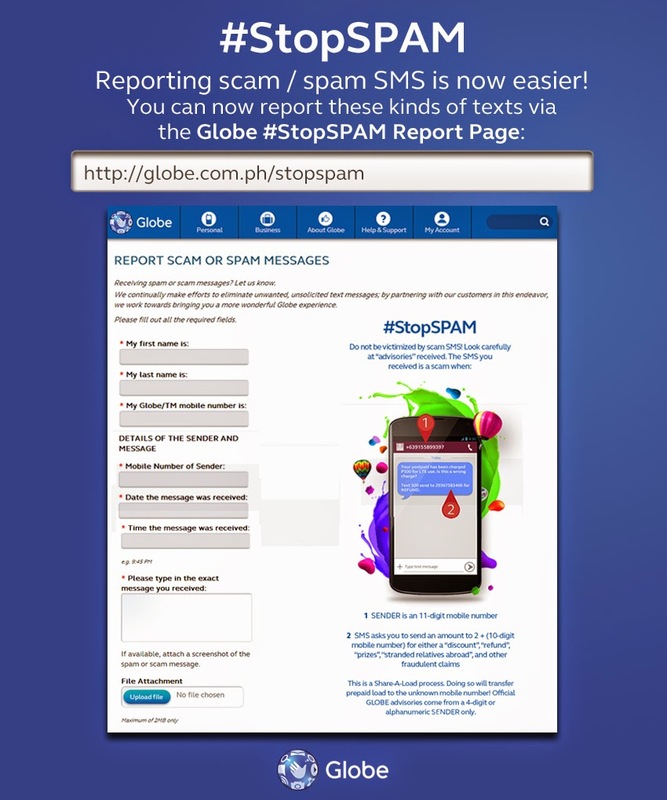 In line with its aim to stop spam messages that we often get on our mobile phones, Globe Telecom steps up its anti-spam campaign by making it easier for its customers to report these annoying text messages. This is the most aggressive initiative so far to address proliferation of spam and scam SMS messages. Subscribers just have to visit http://www.globe.com.ph/stopspam and provide all details on the received text spam and similar scams. Numbers that are reported to be source of text spams are first sent warnings and those that are persistent source of text spams are deactivated from the service.